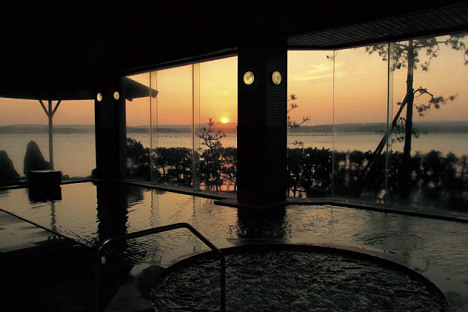 Founded in 1885, this ryokan was born by ardent love story in the age, situated at “Nanao Bay” and nice view of “Noto Peninsula”. 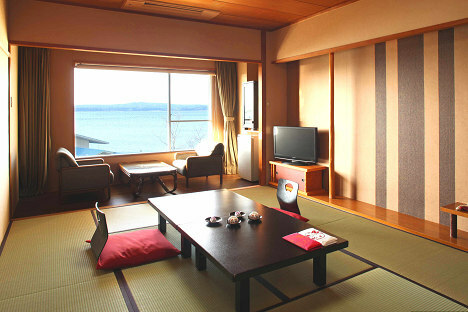 All rooms are facing sea, commanding beautiful sunset. 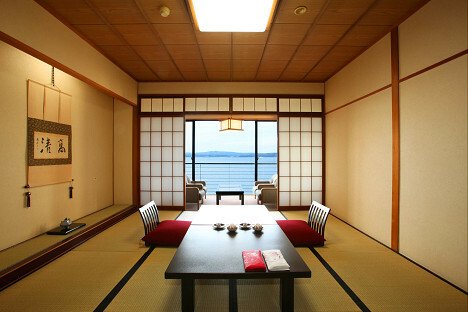 Room designed for showing Japanese austere beauty, and contemporary pure Japanese style of room with brisk tatami mat feeling with refined furnitures. 8 rooms harmonized by Noto’s natural beauty, and beautiful sunset from each rooms, there is Exclusive Open Air Bath in each room. 12 rooms various types of themes. 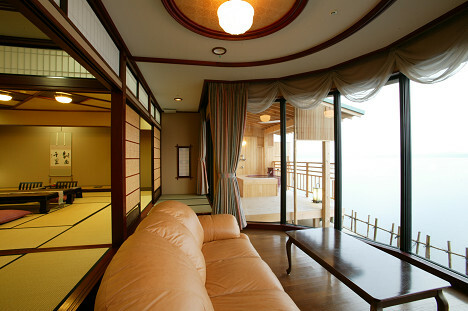 Ie; 15 Tatami mats room with Tea Room, or with small Japanese Garden, or with Japanese Fireplace, or with wide corridor, or with listening room.